You may recall that a few weeks ago it was learned that the Harper government in Canada had made up its mind – all by itself – that it is going is going to close down the country’s consulate office in Buffalo, New York, serving one of the busiest and most economically vital cross-border regions shared by Canadians and Americans on the continent. The Harper government’s reason for this – articulated by Niagara Falls MP and Harper cabinet minister Rob Nicholson, who appears to be placing his partisan ties with Harper ahead of the region he should be serving on this one – – is that visa requests for Canada can now be more easily processed on line. It is a reason that shows how little Nicholson and other Harper government members know or care to know about the larger roles this consultate office has continued to play in bringing business and other key sectors together to address the economic challenges and improve the quality of life for residents throughout Western New York and Southern Ontario. And these are the politicians we should be counting on to serve the best interests of our region and country. Since news first circulated this May that the Harper government was planning to close the Buffalo consulate office, numerous parties have protested, including business leaders in the Buffalo/Western New York region and prominent members of U.S. senate and congress. So far, their protests appear to be falling on deaf years which means that are American leaders are beginning to find out what many Canadians already know – that now that the Harper government has a majority, it is going to do whatever it wants despite any and all concerns raised by others. 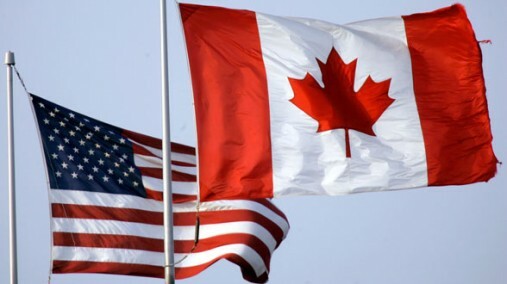 If you are a resident on the Canadian side of the border and especially if you are in a riding whose interests are supposed by be representative by a Harper government MP like Nicholson in the Niagara Falls, Fort Erie and Niagara-on-the-Lake area, and Rick Dykstra in St. Catharines, consider getting in touch with them and demand that this Consulate Office remain open for the betterment of our region – and don’t accept the bogus line about better and cheaper ways to process visas as an answer.